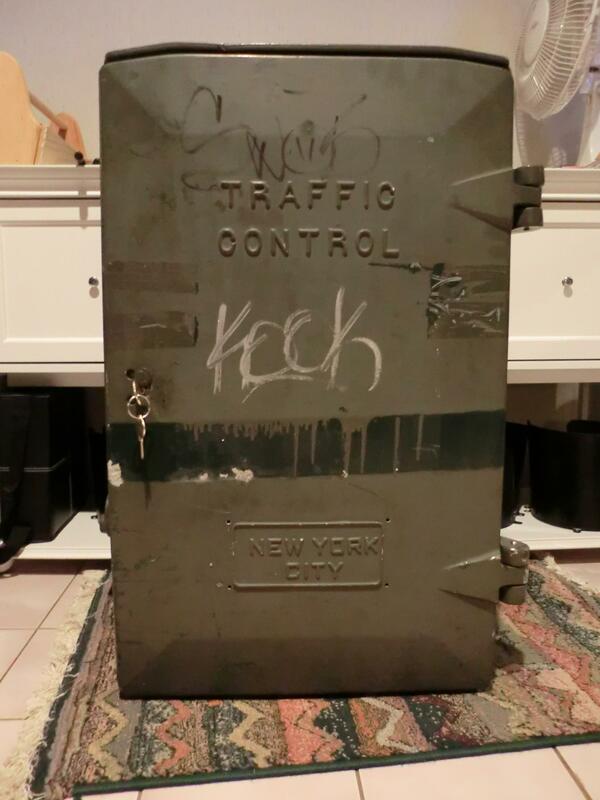 Since my last move, I have not owned any street controllers. I have all of my signals running to my satisfaction on hobby circuit board controllers. That said, there’s something special about the look and sound of an electromechanical controller, so I may end up getting one again someday. The first controller I owned was a Model B3 controller made by General Traffic Equipment (GTE) for New Orleans in 1993. The manufacture date came as a surprise to me – I had assumed that electromechanical controllers ceased to be manufactured in the 1960s or ’70s. A very nice collector from Louisiana, who shall remain nameless here, sent me this controller back around 2003, and I had it running my lights when my kids were just little tots playing around them in the basement…great memories! Phil Glick helped me get this controller running and configured. Well, big green cabinets seem to be my thing. 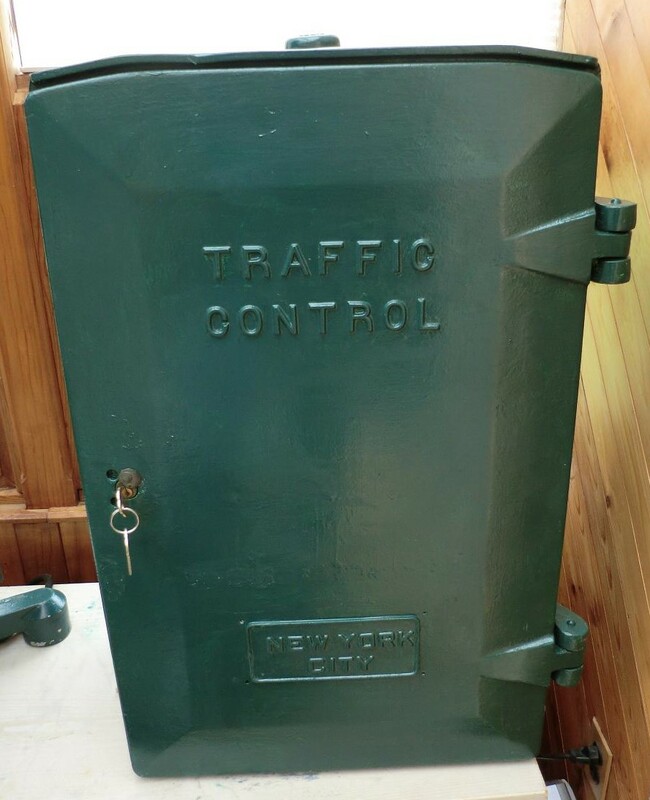 I recently acquired this empty Automatic Signal Corp. ELECTRO-MATIC controller cabinet, which I suppose dates back to the 1940s, if not earlier. Someday, I would love to get an electromechanical controller running inside this, and if you, the reader, happen to have a spare controller in good condition, please write to me via the contact page. For the foreseeable future, however, this will serve as a really cool looking storage cabinet. The cabinet came to me locked without a key. I managed release the bolt from the inside with a wood screw on the end of a long stick passed through a hole in the top of the cabinet. Finding the correct vintage key did not look promising, so I removed the tumbler pins from the lock cylinder. Now, I can open the cabinet with any “#2” key, new or old.